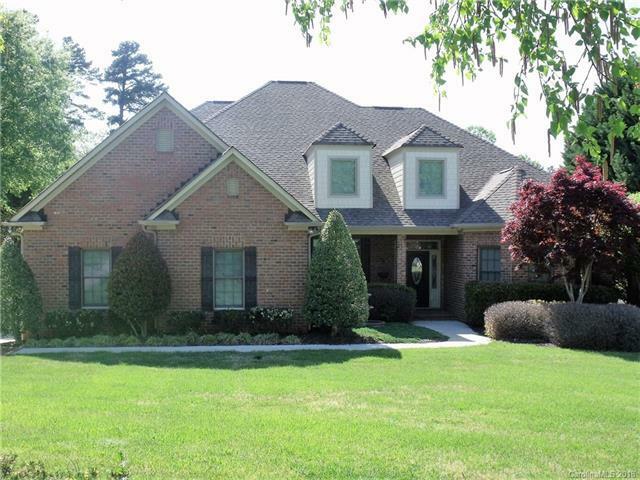 Waterfront, Full Brick home with Pool. Hardwood and tile floors on Main level. Custom kitchen with Island and custom cabinets, Granite countertops, Stainless Steel appliances, breakfast bar. Master Suite with luxury bathroom, walk in shower, jetted tub. Upper level with Media Room, 3 Bedrooms & full Baths in each. Fireplace in Family room & Breakfast room. New carpeting through out house. Beautiful in ground swimming pool, landscaping, fenced back yard, and seawall on Lake frontage. Boat Slip with deep Water. New carpet in Master Bedroom, new hardwood floors in Game Room! Large unfinished room over garage that is perfect for hobbies or storage.Great neighborhood and location. Convenient access to shopping schools and highways. Great lake location that is close to restaurants, marinas (for fuel or services) and one of the lakes most popular boating, sailboat and fishing areas.